Where we have provided a service and you have a current invoice to pay you may pay by the methods below. Please choose a payment method below which best suits you. Please be sure to quote your customer account number and your name as failure to do so may hinder your payment reaching your account and could impact on your service. Log into your bank account from your phone or computer and set up EnviroWaste Services Ltd as a Bill Payee. ESL bank account details are already loaded for all major New Zealand banks. Include your Account Number and Account Name as the reference for all payments. 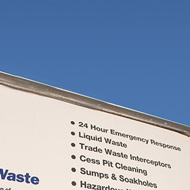 How do I find my EnviroWaste customer account name and number? It is listed in the top right hand corner of your invoice. 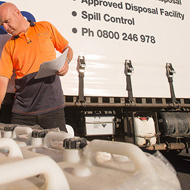 Send us an email at service@envirowaste.co.nz, include your name and address and we will send you your customer account number in a reply email. If your account is overdue or your service has been stopped for non-payment, please contact our credit control departments on 0800 103000 and we'll endeavour to resume your service.